While many parents struggle with getting their kids to eat the recommended amount of fruits and vegetables every day, multivitamins can provide an effective way to ensure that children are receiving the proper nutrients. However, based on a recent study, there aren’t too many children’s multivitamins that contain the recommended amount of vitamin D.
Researchers in the United Kingdom decided to investigate children’s multivitamins after a 2016 initiative officially recommended that all children between the ages of one and four get 400 IU of vitamin D each day. 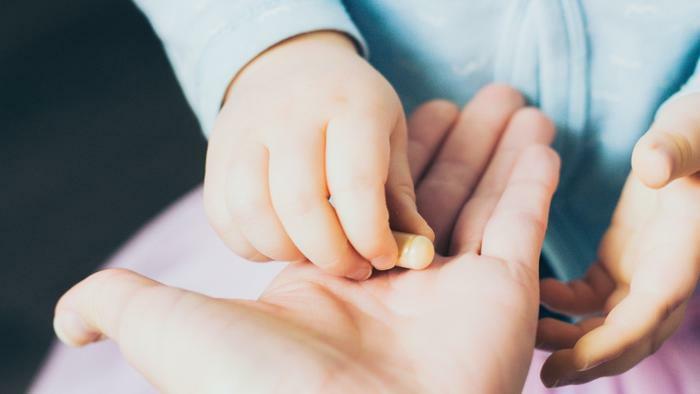 Last year, the researchers went to nine major supermarkets to explore children’s multivitamin options, ultimately analyzing nearly 70 different multivitamins and over 20 vitamin D supplements. The products in question came from 24 different companies and were all targeted towards children under the age of 12. The researchers found that the products specifically geared toward healthy bones/vitamin D supplements were more likely to contain higher levels of vitamin D than the multivitamins they sampled. Approximately two-thirds of the vitamin D-specific supplements contained the recommended daily amount, but the researchers did find that one of the samples contained just 50 IU of vitamin D.
The researchers also found that less than 50 percent -- between 24 and 36 percent -- of the multivitamins safe for infants over six months old contained the recommended daily amount of vitamin D. Only one of the multivitamins was safe for newborns, though it contained just half of the daily recommended amount of vitamin D.
The researchers urge parents to carefully check the labels of the multivitamins they buy; vitamin D intake is important for strong bones and calcium levels, but too much of the supplement can come with negative side effects. Getting the proper amount of vitamins each day -- particularly vitamin D -- can feel like a balancing act for many consumers, but the vitamin has been linked to countless health benefits. Higher levels of vitamin D can lead to better exercise ability, reduced sunburn symptoms, and lower risk of colorectal cancer. However, a recent study found that pregnant women should be closely monitoring their vitamin D intake, as a lack of the supplement can lead to developmental problems in newborns. "The importance of vitamin D sufficiency should not be underestimated. It is well-known to be good for our musculoskeletal systems, but our research shows that if levels are low in expectant mothers, it can affect the development of their children in their early years of life,” said lead author Andrea Darling.